Bring your appetite and culinary curiosity to the historic houses as we celebrate some of Philadelphia's best tastes for the holidays. 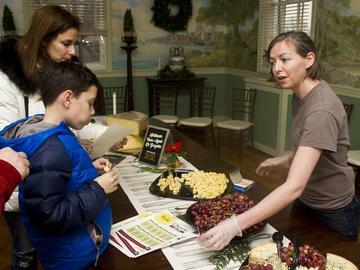 Enjoy free samples and food demonstrations while taking in the beauty of the houses decorated for the holidays. Proceeds from this event support the ongoing stewardship, maintenance, and promotion of these historic treasures. Tickets are valid for 12/9/18 only. No further discounts are available. Children 12 and under admitted free to the historic houses. Photos are encouraged!